In the history of Wall Street, education has always been a practical necessity. Traders moving up the ranks would pass on their experience to newbies looking to make their fortune and over time this process became more institutionalized through graduate programmes. In the 1920s new hires came in with little education but nowadays an excellent degree from a top university as part of a flawless CV is preferred. Educating the customer about financial products has only been necessary if required by regulation or if it would help the client buy a particular financial instrument. 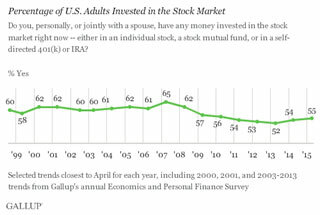 Over the last decade, however, the barriers to entry to the financial markets have come down considerably. Free or low-cost information and access to real-time quotes, fractional investing, robo advisors, social trading, Exchange Traded Funds (ETFs) and Contracts for Difference (CFDs), low minimum deposit sizes and lower bank and brokerage fees have evened the field between institutional and retail trading and investing. FinTech startups have moved the focus further towards mobile and accessibility. Despite this innovation, the financial industry has struggled to appeal to a wider audience and is still primarily targeting those who already have an interest in trading and investing, moving acquisition costs, e.g. in the Forex, CFD and Spread Betting industry, into areas north of $1,000 per client and contributing to a mere 7% global participation rate (including both direct and indirect, e.g. 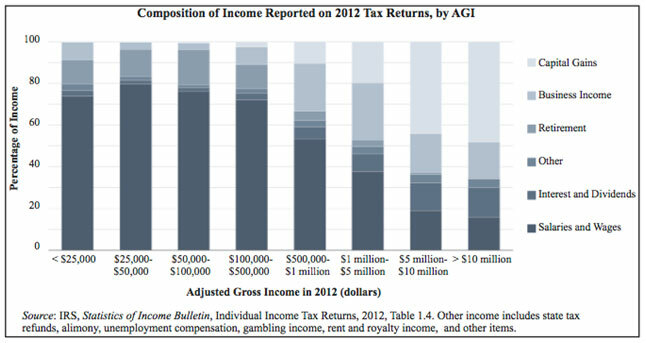 pension contributions) in the stock market and subsequently even to a widening income gap between the 1% and the 99%. Education has been identified as one of the areas which has the potential to improve accessibility further. Currently, most financial companies offer education as a way to attract search traffic, as a kind of extended FAQ to reduce support effort or simply because they might feel it’s a hygiene factor which they need to cover but which will provide little ROI for them. In other words, it is not their core competence. The trend towards further sophistication in educational technology further shows that it can hardly become a financial company’s strength to educate in innovative ways. Platforms like Coursera offer university and other courses online in high quality and Tradimo.com does the same for the financial industry, bringing together top experts in an interactive, digital knowledge portal. Edutainment webcasts, mobile games, augmented and virtual reality are waiting around the corner, initiating the next cycle of innovation that requires intense focus on the respective domain. Games in particular have the potential to transcend target group barriers.More than a decade ago, the U.S. military started using computer games in its recruitment efforts and the trend is only being accelerated by the usage of drones in the battlefield. Where traditional military recruitment falters, games captivate audiences emotionally, allow for the screening of top talent and prepare recruits for combat in realistic ways –often without the individual realizing it. The financial industry has mainly focused on the simplest way of simulating the real market experience, by providing potential clients with free paper trading or demo account access. The challenge of such an approach is that it is the equivalent of throwing a fresh military recruit into the middle of a war zone. The education provided on the respective website equaling a 10 page quick-guide to happy survival which the recruit has to skim through before the first bullet hits him or her. Games are addictive because they are more than mere simulations of reality. They depict reality bit by bit, abstract, deduct, remix and speed up reality and amplify the gratification of progressing with performance transparency and rewards. 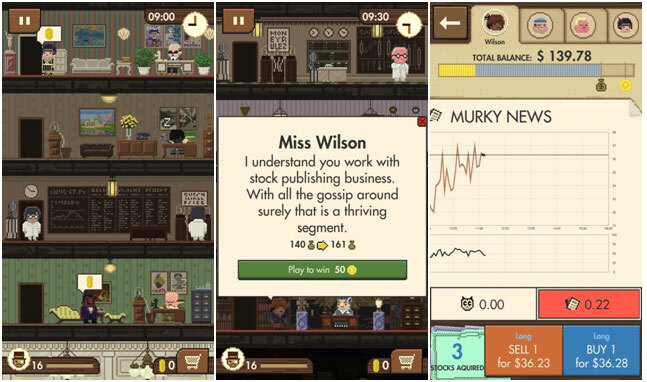 An example of this is our mobile game “Little Traders” which conveys the joyful challenges of the financial markets by bringing the player into the 1920’s stock market where they build a Wall Street empire floor by floor by investing wisely for virtual clients in a realistic market environment, unlocking new skills along the way. Players who had no intention of becoming traders are willing to learn about trading in order to get better at the game. Thereby, the target group that the financial industry can subtly advertise to through the game has become wider. This trend is expected to continue further with the wider adaption of augmented and virtual reality which have further potential to immerse people into experiences that they were previously afraid of. It’s especially true for the younger generations. It is easy to imagine millennials playing a game like Little Traders to open an account with a mobile-first broker such as Robin Hood or others that have simple, mobile-optimized account opening processes. The willingness to try new apps at the tap of a button is also higher on mobiles among younger target groups. 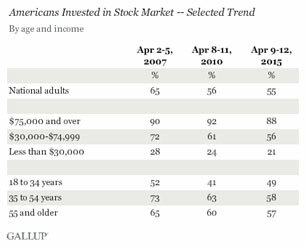 It is not surprising that while, for example in the U.S. there has been lower involvement in the stock market since the financial crisis, there has been increasing momentum again among younger target groups. As an industry, if we are looking at broadening our audiences, we need to look carefully at how to engage younger generations. Mobile games, augmented and virtual reality are undoubtedly the route forward – an engaging and fun way to educate people. 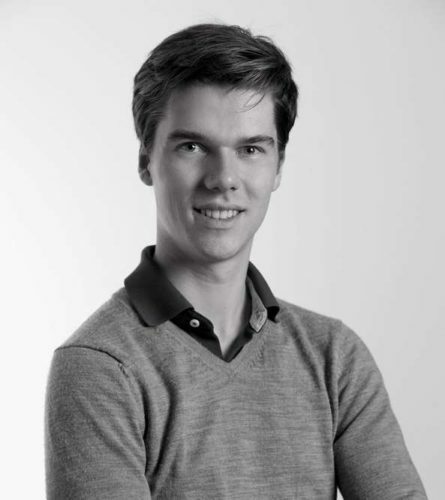 Sebastian Kuhnert is founder and CEO of Tradimo Interactive, a dynamic FinTech organization, with a goal of making the financial markets accessible for everyone. The business consists of two divisions – an educational gaming company (which has just launched Little Traders) and an online course platform for financial markets, Tradimo.com which has educated over 3 million learners with its video courses from leading experts on how to navigate the financial markets. Experts can submit courses which Tradimo reviews and shares in the revenue. Little Traders is free, available on the App Store.